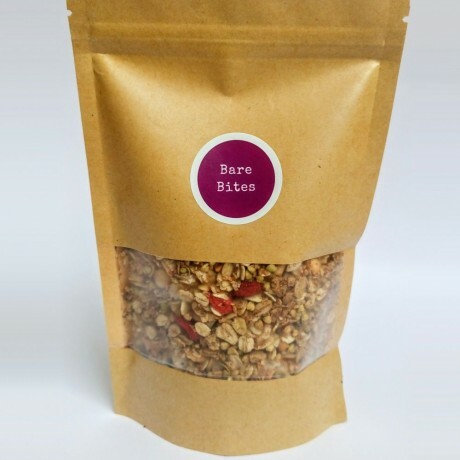 A high fibre crunchy granola sprinkle, spiced with ginger and sweetened with goji berries. Absolutely no added sugars or syrups. Delicious sprinkled on yoghurt, smoothie bowls or just in a bowl with milk! Free from refined sugar, sweeteners and syrups. 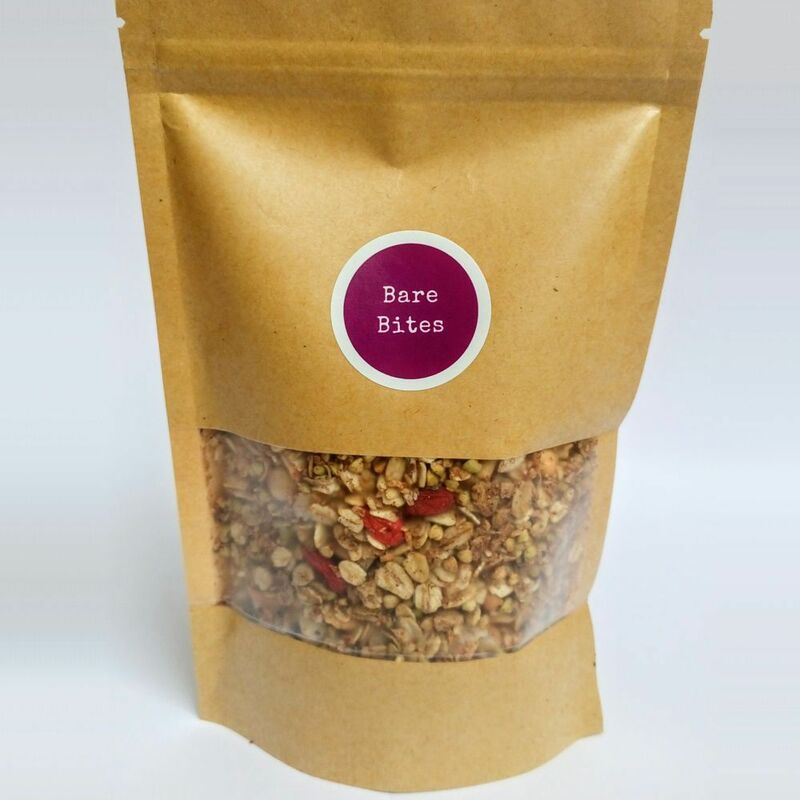 Bare Bites Snacks aim to keep natural sugars as low as possible, they only use small amounts of whole fruit to sweeten their products, never to form the base of them. Please Note: This product has a shelf life of 4 weeks.